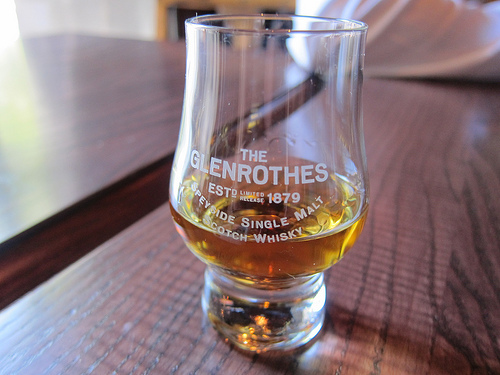 I was recently invited to taste The Glenrothes, a Scotch whisky. The tasting was held at the Parish (see my post on my thoughts on the food on the Minty) and we got to taste the 1998, 1988 and the 1978 as well as a cocktail from barman John Coltharp. We admired the Glenrothes packaging. It makes a great display but hopefully doesn’t deter you from taking a nip here and there! 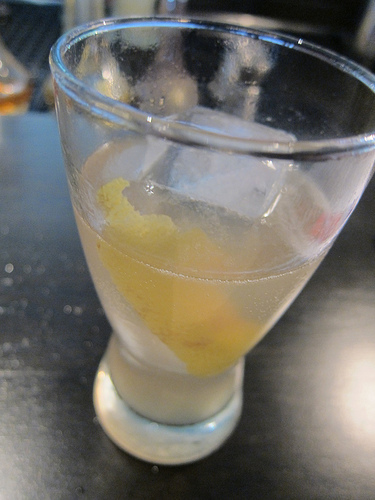 The welcome cocktail, Scotch Lace, was a Collins style drink with Glenrothes, citrus and a little bubbly. 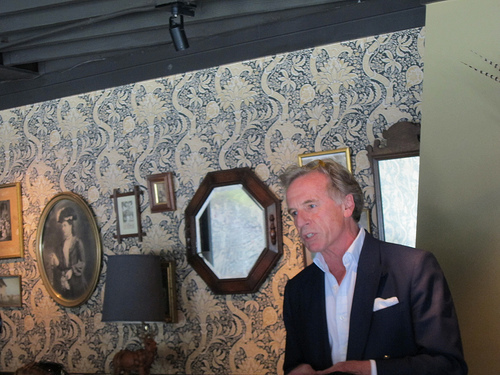 It was a great way to start the lunch as it was very hot in L.A.
Ronnie Cox, the Brands Heritage Director for Berry Bros & Rudd, the importer for the Glenrothes introduced us to the Glenrothes history. 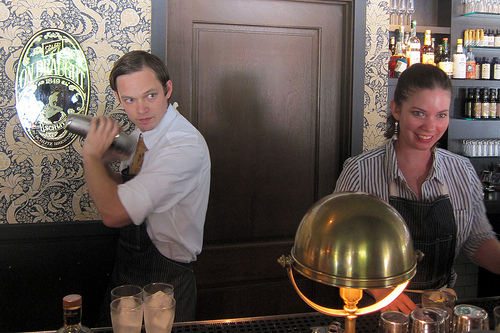 Anchor Distilling Company distributes the Glenrothes in the United States. My favorite ended up being the 1978 which probably means I have expensive taste or something. Oddly, I thought the 1988 was a little rougher than the 1998. There was more of an alcohol burn at first sip but I wouldn’t kick it off my booze shelf. For the holidays, be on the look out for Extraordinary Cask, a special edition of Glenrothes. The 179 bottles are priced at $5000 a bottle (hm, did someone say I have expensive taste?). There will be 50 bottles available in the US. It’s a whisky from a 1970 single cask and bottled in hand blown lead crystal decanter. Now that would make a great anniversary present to me! This entry was posted in alcohol education, alcohol tasting, bar stories, bars, cocktails, events, history, hot bartenders, la, la cocktails, los angeles, spirits, the minty and tagged anchor distilling company, berry bros & rudd, berry brothers & rudd, extraordinary cask, ronnie cox, scotch, scotland, the glenrothes, whisky. Bookmark the permalink. 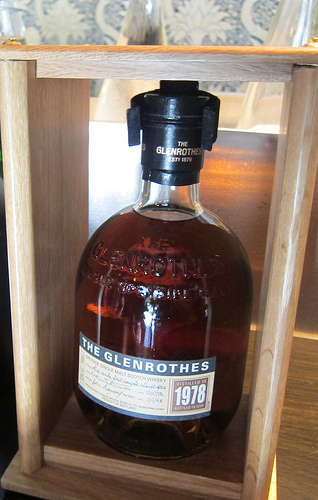 The Glenrothes 1986 was my first true love in the Scotch world! I would love to try the 79! What an awesome event! It definitely was! Weekday lunch & Scotch. Can’t beat that! That one sentiment pushes me ever-closer to leaving my day job!